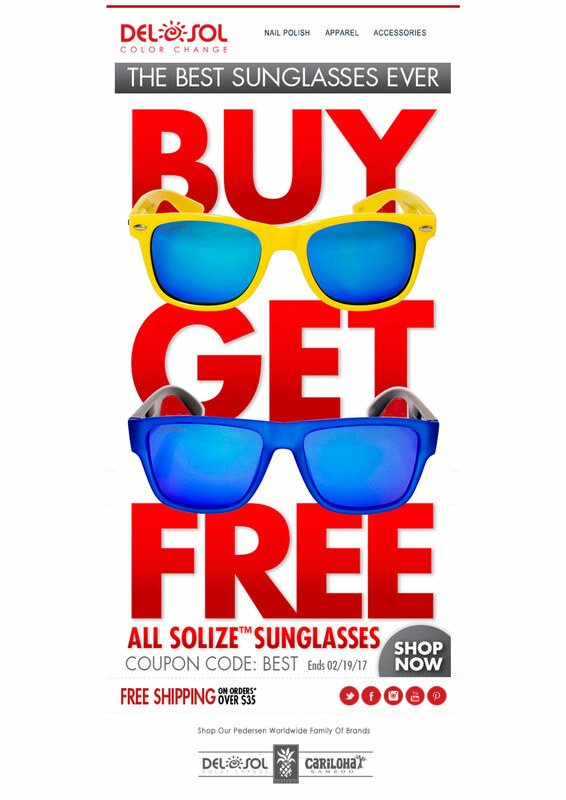 Shot Product Photography and Led Design team for Buy 1 Get 1 Free Solize™ Sunglasses Campaign. Worked with Web Team to create a campaign to promote the sales of new models of color-changing sunglasses. Planned and executed concepting, product photography, and final design.